Sew Be It! Purple Catters Hard at Work! Get the new P.C.M.C. CD! 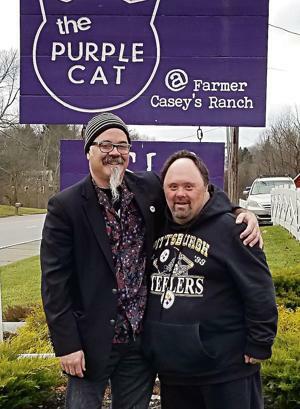 Eastgate, through a federal Appalachian Grant with Mahoning County, Coitsville Township, and Golden String and Purple Cat, granted sanitary sewer lines for Farmer Casey’s Ranch. They consider us a success story. Here is Jimmy Sutman and others to explain. Thanks, Eastgate and Congressman Tim Ryan!